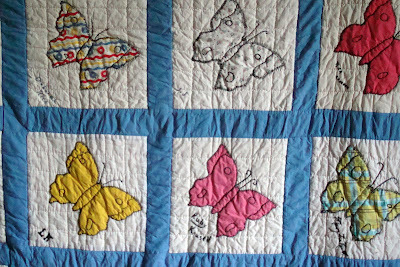 I have always wanted to make a reproduction vintage butterfly quilt with black blanket stitching. And now I have a real one. When I was in Wyoming for vacation my sister Michelle gave me a vintage quilt that she found abandoned, forgotten and dirty. Imagine my surprise when Michelle gave me this freshly washed and virtually unused vintage quilt. I love it. Because it was a flea market item we don't know the history or story behind the sweet butterflies. Each block was made by a different girl. Some of the girls were new to stitching and some look like they had experience. I love the vintage fabrics. They are all bright and clear, still. And the butterflies have so much character. The quilt is hand quilted but has a range of stitch types so I'm sure there was several different quilters that gathered around the quilt frames many years ago. If I had to guess I would say the blocks are made by high school girls or young mothers as a block exchange. The names of the stitchers are embroidered on the blocks. They are sweet old fashioned names most popular in the 30s. I love looking at each individual block and wishing I knew more about the history of the makers. Thank you so much for rescuing this gem and giving it to me, Michelle. I will love displaying it in my home. This really makes me want to get back to using my vintage fabric stash more. 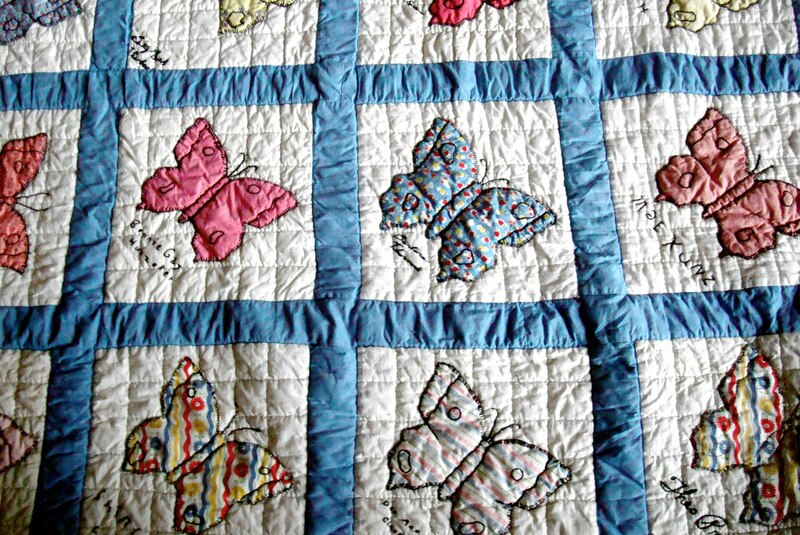 Beautiful quilt, doesn't it feel good to rescue a quilt that someone once worked hard on and loved? You are so fortunate to get to be the owner of this awesome quilt and to have such a sweet sister. Two treasures. 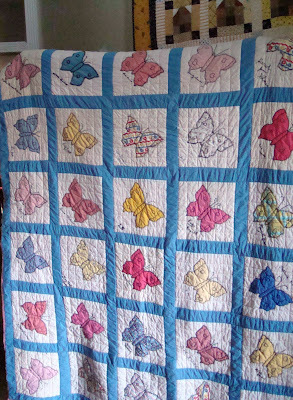 I love when a quilt like this gets into the hands of someone who loves and appreciates it. What a treasure! It could not have found a better home. I hear about finds like that, and am always so happy to know vintage quilts have found a good home. Another good reminder for us to label everything we work on. It will go perfectly with YOUR quilts. What a find! What a gift! What a treasure! So glad it found you. 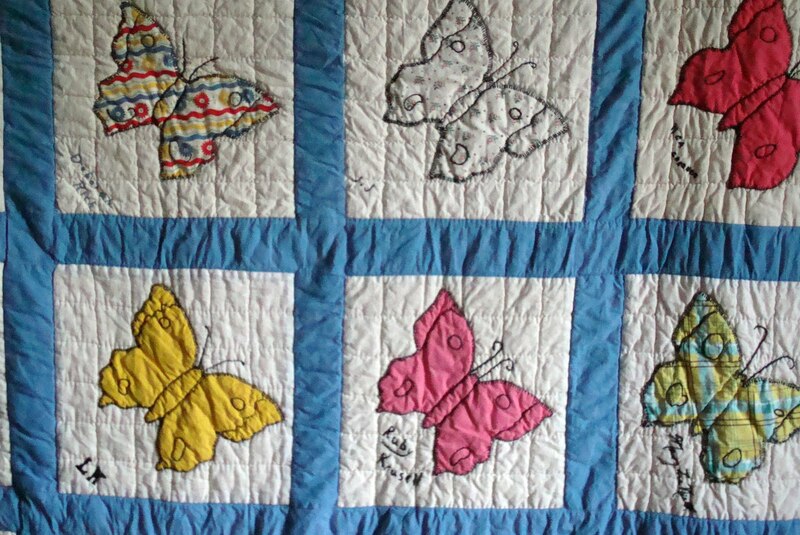 Oh I just love butterfly quilts. 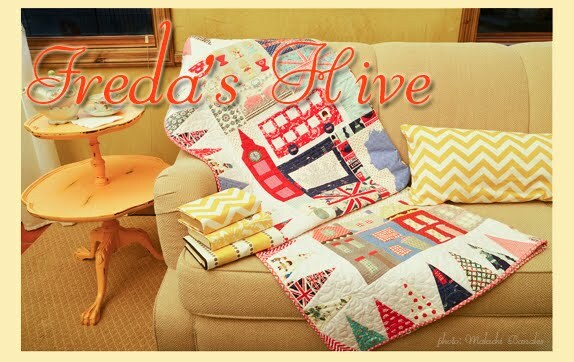 I am going to try to make my own vintage quilt. The fact that the names are on the blocks is wonderful even if one doesn't know the origin, it's another important reminder for us to label our quilts, no matter what. I love, love this and am sure you will for all times too. How very precious! What a wonderful sister to not only rescue and clean the quilt, but to give it to you. I know you'll enjoy looking at it and remembering. 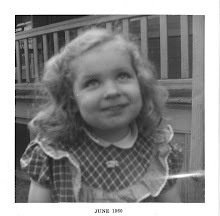 I have about 20 sunbonnet babies that my great grandmother made. I cut them out of the quilt that was in horrible condition. Not sure what to do with them now. I put two of them on a sewing machine cover. wonderful quilt! so glad it has found an appreciative home. this will look lovely in your display space! What a special gift from your sister. Glad it found it's way to you. Love it! 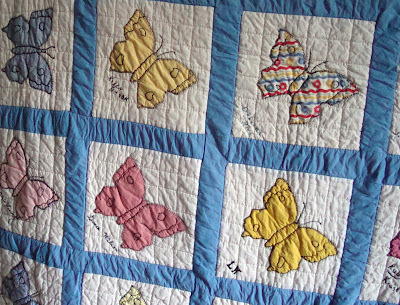 It's an adorable quilt and it must have had your name on it. I wonder why it wasn't a very used quilt. 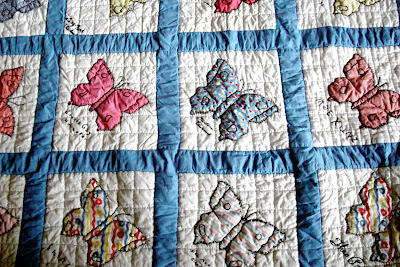 I love butterfly quilts - I can't think of a better way to use vintage fabric. What a sweet sweet gift. It's wonderful. Glad it found a good home. What a fabulous find, Nanette! And how sweet that Michelle gave it to you!! Awesome! I love that the blocks were made by different stitchers and that it survives today so it can be shared with others who appreciate their work!